This is part two of a two-part series on how the Army is looking to acquire and field capabilities faster. The Army has been looking to reduce its requirements process timeline for identifying and delivering needed capabilities to keep pace with increasingly software-centric 21st century warfare. Adversaries are introducing new capability faster than Army bureaucracy can counter, even with existing commercial technology, so the service is operationalizing new contract vehicles to drastically shrink down these timelines. 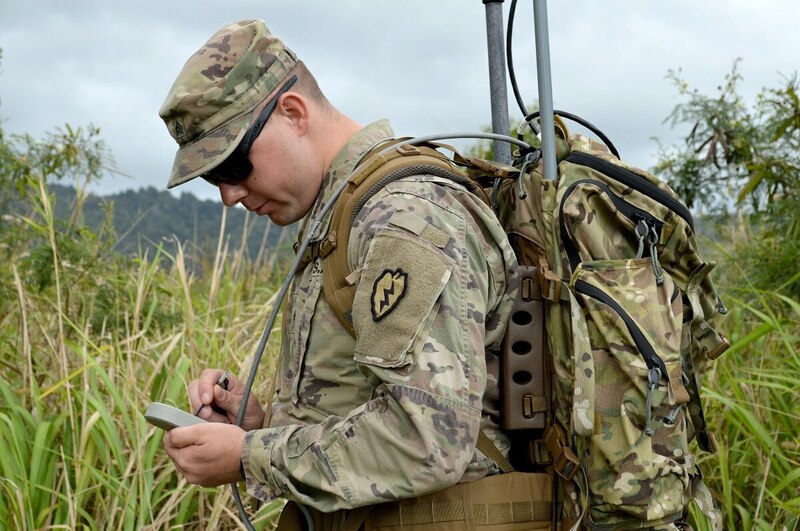 In response, the Army is learning by doing: gauging the urgent needs of soldiers engaged in electronic warfare and fielding modular tools that can address immediate concerns, inform existing programs and shrink prototyping timelines. “A fundamental shift that is happening inside the Army is, instead of writing a requirement document and then having it sit on the table for 10 years wondering if it’s right while you throw it over the fence to your acquisition teammates to build something, is to do experimentation and demonstration in an operational environment that informs our requirements,” Maj. Gen. John Morrison, commander of the Army’s Cyber Center of Excellence said during a keynote presentation May 16 at the AFCEA Defensive Cyber Operations Symposium in Baltimore, Maryland. Gathering operational needs statements from soldiers on the front lines of Europe, the Army is doing capability development “so that we can go ahead and assess capabilities and get a sense of whether we have our requirements right or not,” Morrison said. One example lies in the Army’s Electronic Warfare Planning and Management Tool, a software interface overlaid onto a physical map allowing soldiers to visually manage their signal output in the electromagnetic spectrum and plan effects in this non-physical domain. The Army then delivered a more advanced version of the current capability ahead of the next expected capability drop cycle in 2020, nicknamed Raven Claw. The so-called Raven Claw capability enables soldiers to conduct electronic warfare planning and management on the move and without network connection, getting at a critical need for troops in Europe, who are rarely tethered to a static command post. 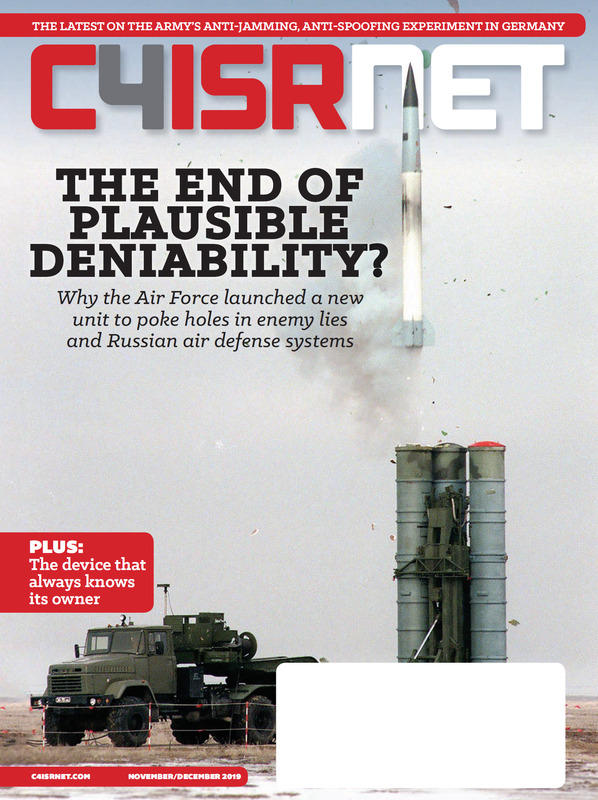 “The primary thing was making it portable and able to operate in a mobile environment.” Karen Steinfeld, director of capture management excellence tactical electronic warfare at Raytheon (the contractor for EWPMT), told C4ISRNET in a March interview. A rapid response capability program is delivering software updates that allow Army soldiers to address specific on-the-go, offline EW planning and management needs in Europe. This way, if soldiers lose connectivity, they’ll have the last known good bit of data about what is going on and the ability to plan and manage around that, Travis Slocumb, vice president, electronic warfare systems at Raytheon, told C4ISRNET. In learning by doing, the Army is able to gain valuable insight that can be rolled into the official program for all units, not just those leveraging the prototyped capability. “The Army, for all the right reasons, divested itself of its electronic warfare capabilities while we focused on a counter-IED fight, so when you have nothing, and I’m being pejorative, just about anything is better,” Morrison said.